Nigeria youth international defender Jamiu Alimi has joined Ukrainian club Metalurh Donetsk from Belgian club Westerlo on loan. 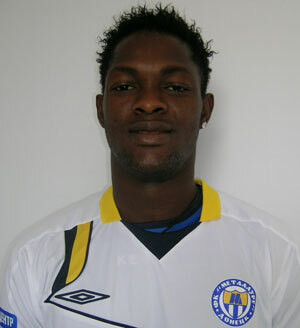 Alimi will be a direct replacement for compatriot Dele Adeleye, who has switched to another Ukrainian side Tariya. Last season, the Lagos-born defender featured in seven league matches for Westerlo. The young central defender missed the final cut to the recent FIFA U20 World Cup in Colombia on account of injury.